From our own personal experience, we know how extremely difficult it is to even find a new apartment or house in the city in which we live and we are so aware of the challenges that awaits someone who will be moving to a different city or country because of a new job or assignment. 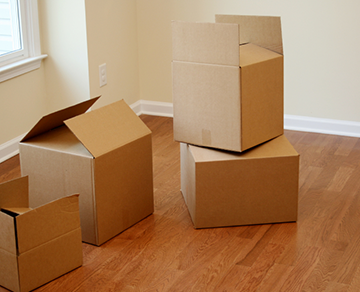 So whether you are a single person simply in need of that extra help in finding a new place to settle into a new city or you will be relocating with your family and interested in a full relocation package that includes a variation of services from tenancy agreements to school searches, we can help you. We have teamed up with a well-established relocation service provider to support you with this need. TTH International Relocation Services is a full service relocation company whose UK head office is based in Goring on Thames, Reading and Helsinki, Finland (since 1998). At TTH they understand that relocation is an on-going process involving client company and the individual assignee. The successful relocation is taking into account each assignee’s individual needs and concerns which need to be addressed to within the boundaries specified by client company. Our multilingual staff, which have international experience are assisting and helping the assignee throughout the process. Through their international network of partners they can offer services throughout Europe, The Americas, Asia Pacific, Africa and Middle East. Their Finland office is also part of the TIRA. TTH has longstanding partnership arrangements with other professional in the relocation industry such like removal companies. TTH is a member of EuRA and ARP and are very involved in these industry associations. Mima is the Chairman of the Association of Relocation Professionals, and represents the ARP on the board of the European Academy of Relocation Professionals (EARP). All TTH staff have achieved the CERP Level 1 (Certified European Relocation Professional). Please contact TTH International Relocation Services at http://tth.co.uk/ for any queries you may have.